The EVID-S8.2T from Electro-Voice is a high-performance, two-way, full-range mount speaker with excellent wide, uniform coverage, and outstanding performance. 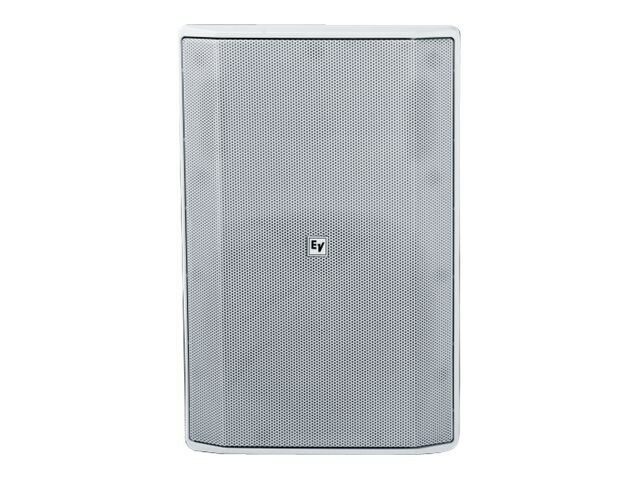 It is designed for background and foreground music, paging, and sound reinforcement, and it's ideal for a wide variety of indoor and outdoor applications. With unparalleled ease-of-installation, sturdy weather resistance, modern and delicate look, the EVID-S8.2T is the perfect solution for a wide variety of surface mount applications. The EVID-S8.2T has been carefully engineered to resist outdoor environments, without compromising on performance for indoor applications.